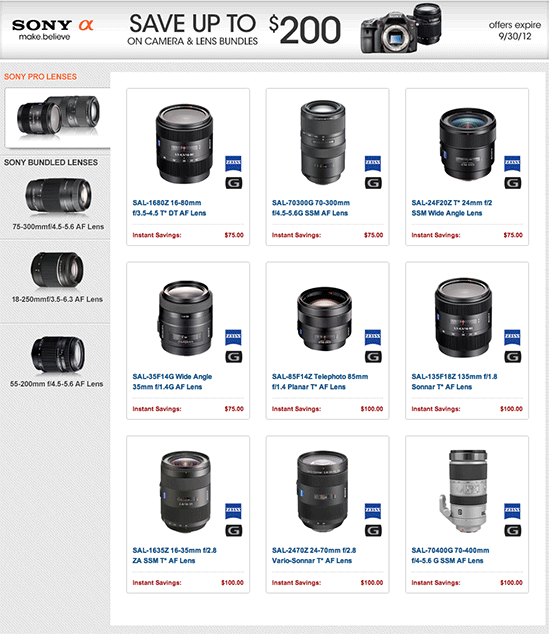 Few hours before the Sony a99, RX1 and other product announcements, here is a quick update on the new US Sony rebates for the month of September: up to $200 off on selected camera and lens bundles (valid till September 30, 2012). This entry was posted in Sony and tagged Rebates. Bookmark the permalink. Trackbacks are closed, but you can post a comment.